Special Announcement Coming to a Newsletter Near You! Game-changing moments are happening here at Dreams Soar! Hard work, perseverance, dedication and determination truly pay off especially when passion out shines all obstacles. Stay tuned for an upcoming exclusive newsletter of Shaesta’s personal story and journey returning to Afghanistan, July 10-12. You won’t want to miss this! 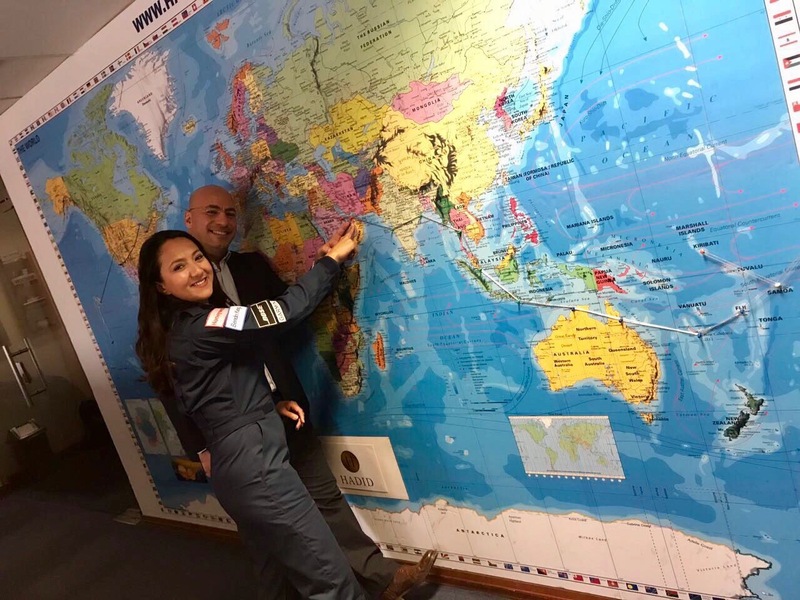 Mervat Sultan of RamJet Aviation Support and president of the Women in Aviation International (WAI) – Middle East chapter joined us in our mission to inspire the next generation by becoming an official in-kind donor. “Since I began my aviation career with RamJet Aviation Support more than 16 years ago, I have seen more women enter the industry year after year. I truly believe that women make up one-half of society but unless we empower and educate them, our society will not thrive and prosper as one hand won’t clap,” Sultan shared. RamJet Aviation Support prides itself in working hard for the comfort of their customers. Whether for business or leisure, RamJet allows their clients to focus less on traveling and more on what is important. RamJet offers several services such as traffic rights, ground handling and fuel services. 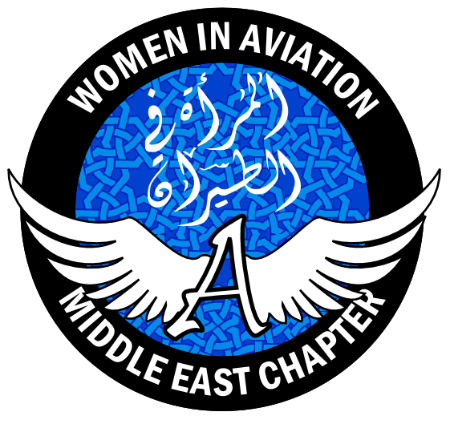 WAI – Middle East is an organization dedicated to uplifting and serving women of the Middle East through their aviation aspirations. This organization hopes to dismiss any stereotypes of women in this region and provide the proper environment for these women to thrive. Sultan added, “Women in Aviation Middle East Chapter and Dreams Soar’s ideas of education is to prepare young females to educate and believe in themselves throughout their lives especially since Shaesta is a great example of our future generation.” Both groups have covered accommodations for Shaesta allowing her to focus more on multiple outreach efforts and flight planning. 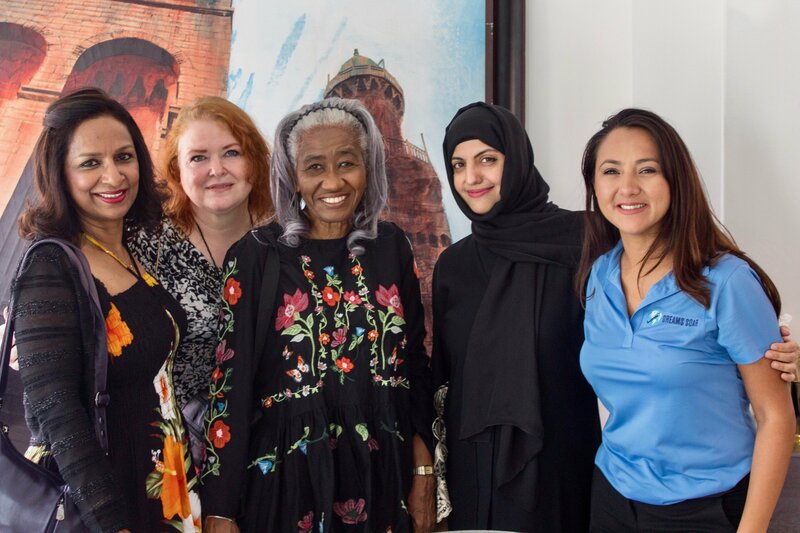 On July 8, the Women in Aviation International (WAI) Middle East Chapter hosted a “Coffee with Shaesta” event at the Sketch Art Café, located inside the Mattar Bin Lahej Art Gallery. Approximately 30 women attended the networking event, hosted by Maryam Al Balooshi from the UAE General Civil Aviation Authority (GCAA). 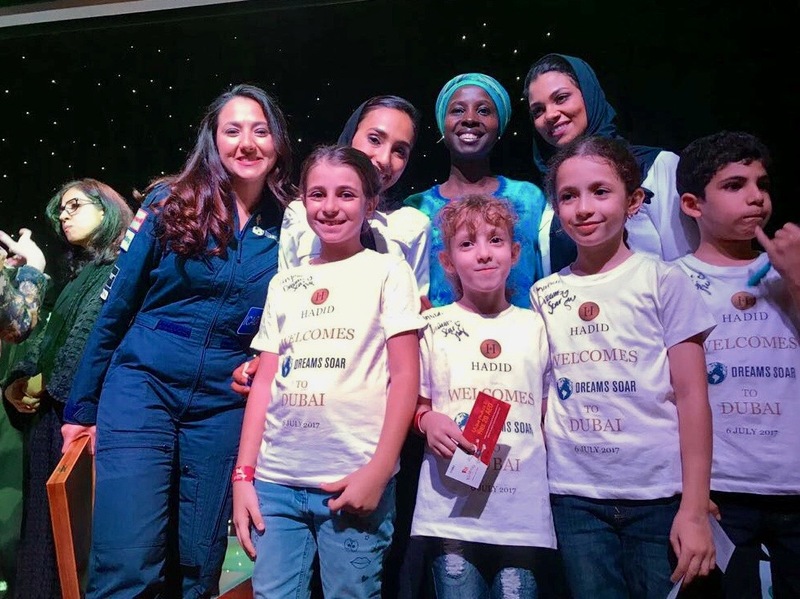 Shaesta addressed the group on the global flight for STEM and was then presented with a piece of art by Mattar, along with a calligraphy art piece of her name in Arabic, created by Maryam, who is also an inspiring artist. One fascinating item to note, Mattar is the artist behind a well-known sculpture at ICAO headquarters in Montreal! The next day, Shaesta addressed over 100 children and their parents in the Metropolitan Theater of KidZania, a venue that provides children and their parents a safe, unique, and realistic educational environment. KidZania allows children ages 4-16 to do what comes naturally to them and role play in different career fields, including aviation. Shaesta talked about her experiences and about the importance of STEM. Shaesta was joined on stage by the daughters of Chakib Boudjemaa, from HADID International Services. 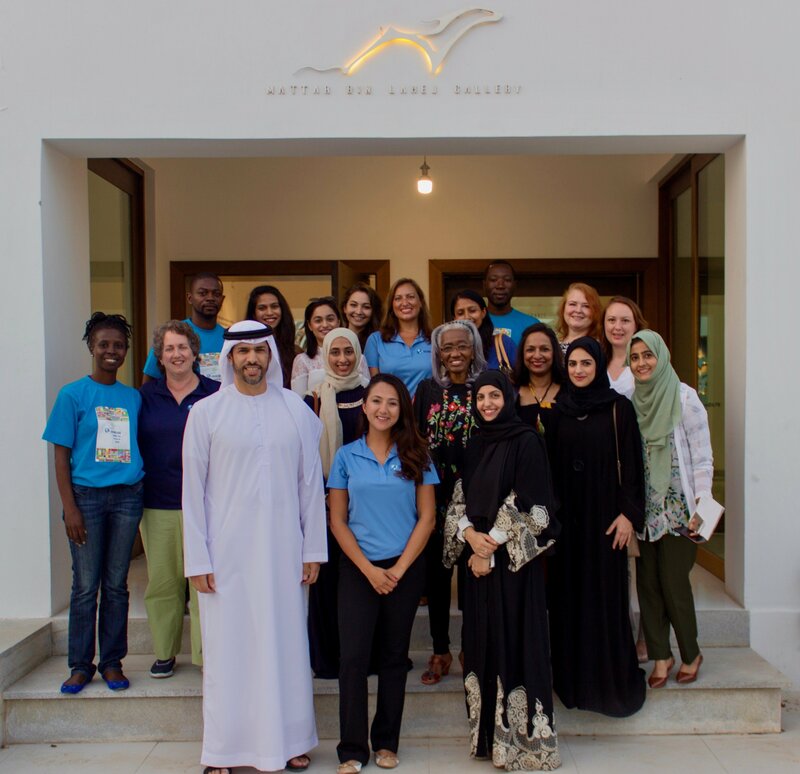 Thank you Maryam, Mattar, WAI Middle East chapter, and the GCAA for hosting these amazing outreach events! Dreams Soar would like to thank Leigh Wilmot for photographing the “Coffee with Shaesta” event. Check out more of his other amazing photos on Twitter, Facebook, and Instagram! Being far from home, away from family and close friends can be challenging during a global solo flight. However, having supporters all around the world makes this journey not so ‘solo’ after all! Dreams Soar would like to extend their gratitude to HADID International Services for their continued hospitality and generosity. We are thankful for this team that’s become an extension of home for Shaesta, ensuring her constant safety and comfort. 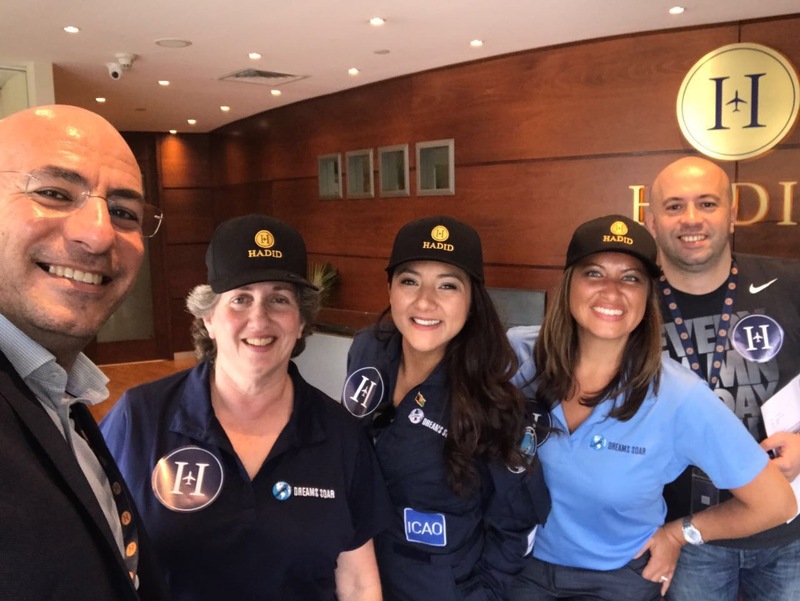 A special thanks to Issa Zuriqi and Chakib Boudjemaa for handling a multitude of matters for Shaesta while stationed in Dubai, and leading sponsorship and travel arrangements for board member, Lyndse Costabile, and outreach coordinator, Jill Meyers, to surprise Shaesta as she arrived in the UAE. Thank you HADID for making dreams soar, everyday! Bringing in week three of the Dream Team Fundraising Competition, our members posted baby photos of themselves describing what they wanted to be when they grew up. Check out a couple of these adorable posts! With a wide gender gap in the technology field, many companies around the world are taking a stance to fill it. Girls Who Code (GWC) is a non-profit organization that aims to introduce and teach girls to program. GWC has several internship programs that allows girls who know nothing about coding and programming to learn the language and perfect their coding skills. Read about IBM’s Girls Who Code summer interns here! 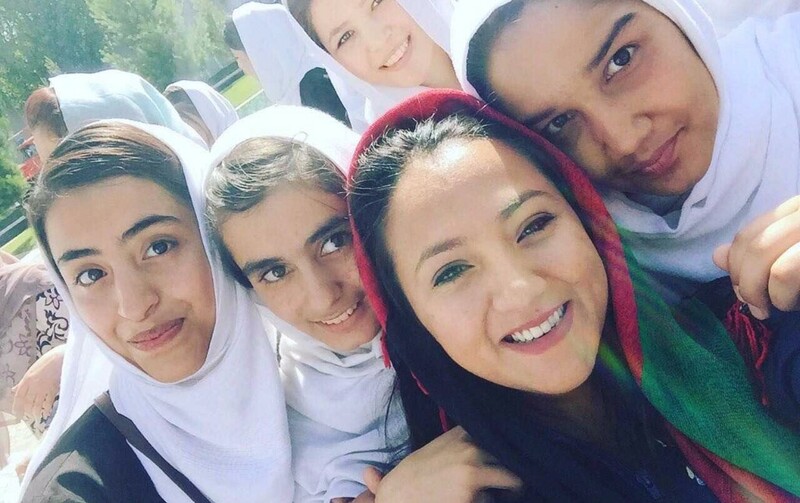 After a team of young Afghani women were denied visas to enter the U.S. for a robotics competition, many people urged Washington officials to reverse their decision. After two denials of visa applications, the team was finally allowed to secure entry into the states. Read a full article from the New York Times here! Thank you Dreams Soar board of directors and spouses for your ongoing generous charitable gifts! Order Your Official Dreams SoarApparel Today! 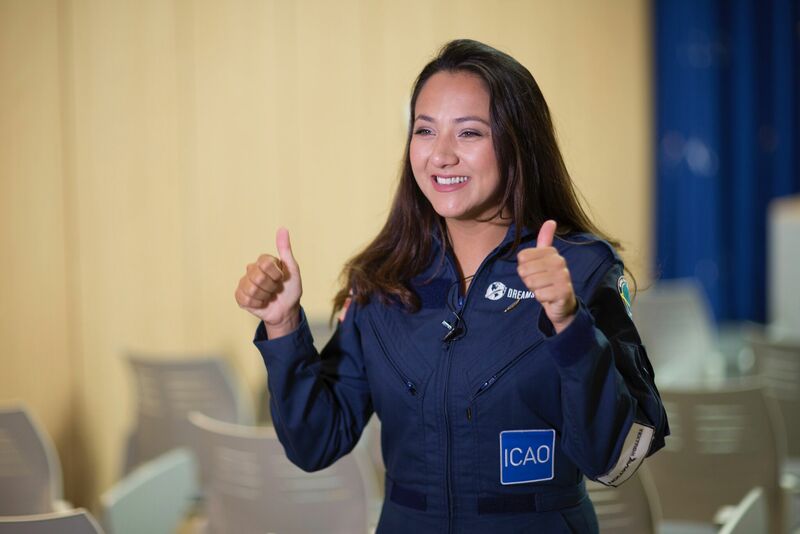 Thanks to our on-going partnership with MSK Concepts, not only can you ensure that we’re inspiring the next generation of STEM & aviation professionals through your generous donations, but now, you can also look the part! 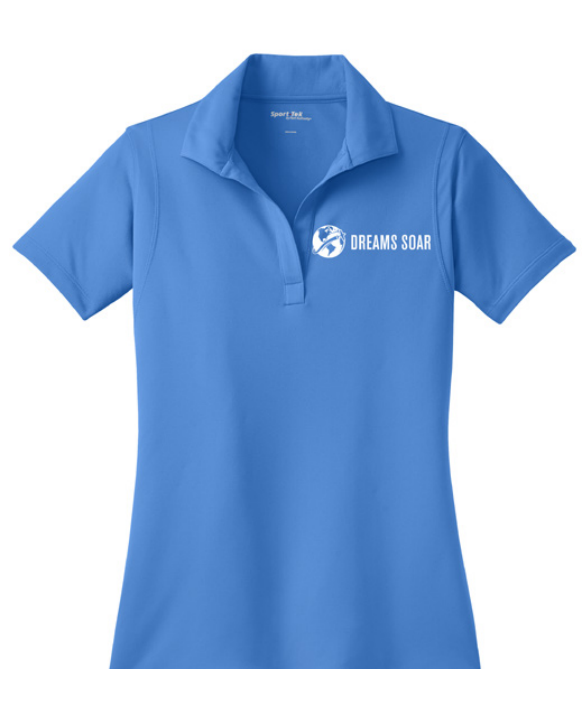 Show off your support of Dreams Soar in style by purchasing your very own Dreams Soar polo or jacket! Every purchase supports our mission! Thanks to the generosity of MSK Concepts, 15% of every purchase is donated to the global outreach mission. 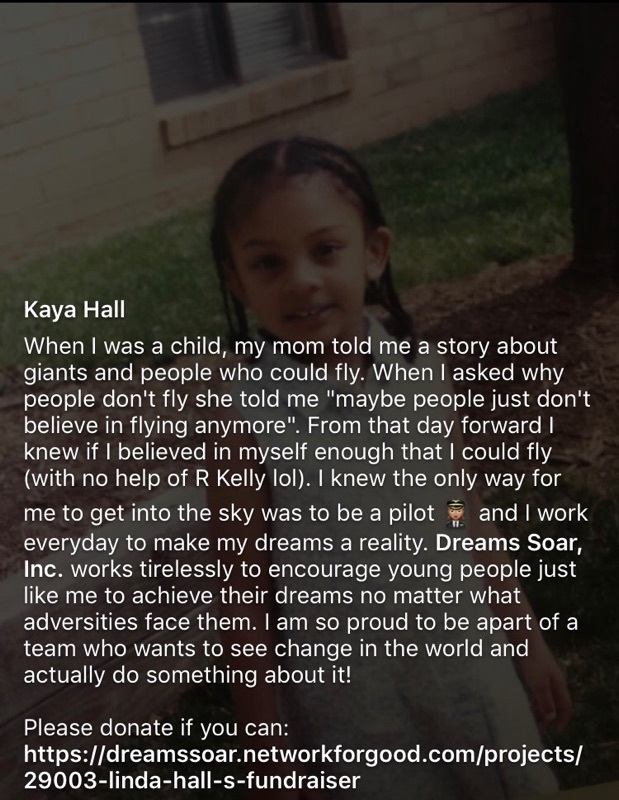 There’s no better time to inspire the next generation of STEM and aviation professionals. Invest in Dreams Soar today! Copyright © *|2017|* Dreams Soar, Inc. All rights reserved.